This process covers the creation and communication of Parent Portal Logins for appropriate Parents/Carers. The Parents/Carers should have already been created on the system at the time of their student’s application following the New Parent/Carer Creation Procedure. 1. 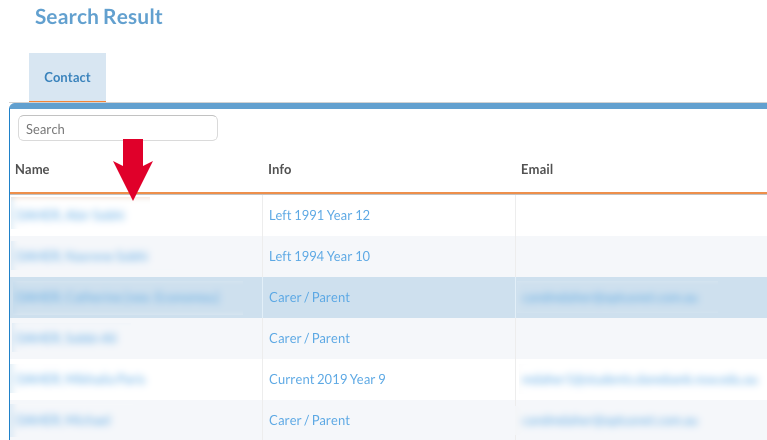 In Edumate, type the Parent/Carer’s surname into the search bar. 2. Locate the Parent/Carer in the list and click on their name to go to their profile. 3. Click on the ‘Groups’ Tab. 4. Scroll down the available groups until you see parents, click on ‘Parents’ then click ‘Add’. Add the parent group as below. Finally tick the ‘User’ box. 5. Click ‘Save’ and wait for the button to turn green. 6. Click on the ‘Profile’ Tab. Once the profile page has loaded, you will see a new tab appear called ‘Access’, Click on the ‘Access tab’. 7. You need to generate a random password to be a temporary password for the parent. 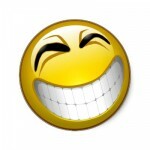 Click on the ‘Generate Password’ Button below in this tutorial and you will see a password appear in the box above it. Now copy and paste the above password into the boxes of the edumate access tab labelled ‘Password’ and ‘Retype Password’ (red arrows below). You should also record/write down the username and this temporary password as you will need to type it into a word document at the end of this tutorial to send home! 8. Tick all four tickboxes that are beside the username and password. 9. Click ‘Save’ and wait for the button to turn green. 10. Click on the ‘Print’ Button. 11. Click on the appropriate Letter you wish to generate (red arrows below). 12. A popup window will appear, click on ‘OpenOffice’ (red arrow below) in this window. 13. On the Second page of the letter, replace ‘username’ (red arrow below) and ‘password’ (yellow arrow below) with the username and password recorded in step 7 of this tutorial. n.b. If you have forgotten/lost the username and password, you will need to go back to step 7 of this tutorial and complete steps 7 to 12 of this tutorial again to obtain the username and password again. 14. Now that you have updated the parent’s username and password in this letter, you can print this letter to be mailed home to the parent. 15. Save the completed letter that was printed as a pdf and add it to the edumate contact’s history tab as an attachment with an appropriate description and as type ‘Letter – other’ as per the following video, then click save. The parent has now been set up with a Parent Portal Login and had their Parent Portal Letter printed, which contains their Login details, to be mailed to the parent!